When I went through my Miranda Kerr obsession last year (we've all been there), I found out that one of her secrets to amazing skin was rosehip oil. After a little researching, I decided I desperately needed a bottle of this skincare miracle in my life. 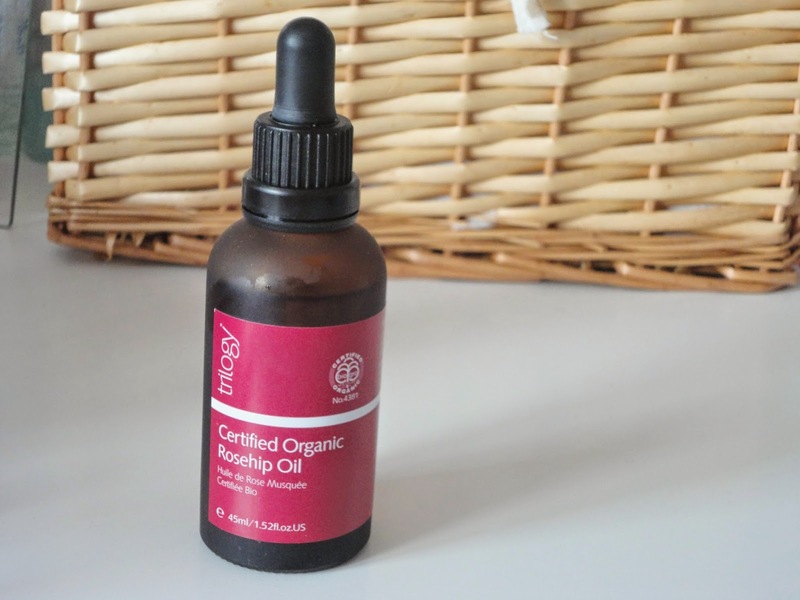 Without wanting to sound like an advert, some of the things rosehip oil does for your skin include anti-ageing qualities, help with discolouration/hyperpigmentation etc and reducing the appearance of acne scars. As I have thankfully never suffered from acne, I can't vouch for the third claim however this little bottle is as amazing as it sounds. I bought the Trilogy Rosehip Oil from Amazon last year and have just started my third bottle of the stuff. I have been using the 20ml bottle which lasts a good 6 months if you use 3/4 drops nightly, but as Amazon had an offer on, I got the much bigger 45ml bottle which I'm hoping will last me near enough a year! This is the only oil I have ever used on my face (I have normal skin but this would be great for all skin types) and love the luxurious feel of massaging it into my skin (post eye cream, pre moisturiser). It doesn't really have a strong scent to it and doesn't feel thick on the skin, once it has been massaged in, my skin just feels nice and smooth. In the morning I do find that my skin looks plump and glowy, and I think that this product has a lot to do with it. I ran out of it briefly last year and noticed a big difference in the quality and look of my skin. So if you've never tried a face oil before, definitely give this a go, I'm sure you won't be disappointed!